It is the intent of the Barneveld School Board to empower each student with the attitudes, knowledge, and skills for becoming a life-long learner by providing an environment that values curiosity, challenge, cooperation, respect, and creative and critical thinking. Nestled in the gently rolling hills of southwestern Wisconsin, you�ll find the perfect get-away for your family, friends and groups. For camping, boating, fishing or tramping the trails, Blackhawk Lake welcomes you. Blue Mound State Park is on the tallest hill in southern Wisconsin, about 25 miles west of Madison. The 1,153-acre park is a popular place for swimming, hiking, camping, cross-country skiing and mountain biking (both double and single track) and finding peace and solitude. Welcome to the City of Dodgeville's official website for local government information! We are excited about using this site to communicate with our residents, businesses and visitors about what our community has to offer in beautiful Southwest Wisconsin. Explore these pages for more information on Dodgeville's history, community profile, downtown historic district, and the work of the Dodgeville Area Chamber of Commerce and Dodgeville Revitalization in the community. We are the local club of the International Association of Lions Clubs which was established in 1917. As a local organization, chartered in 1972, we have the ability to provide many services that benefit our community. Folklore Village is a nationally recognized folk arts and culture center dedicated to enriching lives through time-honored traditions. 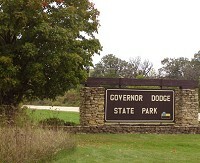 Governor Dodge, in the Western Coulee and Ridges landscape of Wisconsin, is one of the state's largest parks, with 5,270 scenic acres of steep hills, bluffs, and deep valleys plus two lakes and a waterfall. The Highland School District aspires to be a challenging and exciting school district in which students achieve personal responsibility, social maturity, and academic success. Welcome to the government information source for Iowa County, Wisconsin. On these pages you will find listings of some of the services your county government provides. You will also find some of the forms required to be completed as well as the fee schedules. The Iowa County Historical Society incorporated in 1976 to discover and preserve the history of the people of Iowa County, Wisconsin and maintains many historical archives at the Iowa County Historical Society Museum. We take great pride in our students, in our community, and in our commitment to excellence. In partnership with the community, the Iowa-Grant School District will challenge each student to reach his or her full potential in order to compete in a global society. 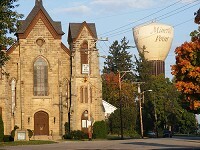 Welcome to Mineral Point,a charming little community reminiscent of a rural English village, nestled in the beautiful rolling hills of southwest Wisconsin. This site will provide information to parents, students, employees, community members, and applicants and give all visitors a glimpse into the life of our school district and its strengths. It presents detailed information about academic projects, operations of the school district, and opens portals to departments, schools, district emails, and much more. Above all, as you travel through our site, we hope you will sense Mineral Point School's genuine commitment to providing the best education possible for every child. In 1970, the Wisconsin Historical Society acquired the Pendarvis property. 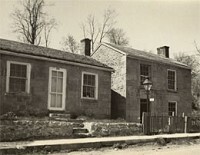 The following year it began operating the restoration as a historic site interpreting the history of Cornish settlement and Wisconsin's lead-mining heyday. Located among the beautiful hills and valleys of Southwestern Wisconsin, Southwest Tech is a comprehensive technical college standing ready to offer you excellent educational opportunities, a broad array of support services, and a student-friendly atmosphere. With over 40 career-based educational programs, Southwest Tech offers a variety of educational opportunities including continuing education certificates, technical diplomas, and associate degrees. Southwest Tech is also the leading provider of regional emergency response and law enforcement training. With a broad educational mission, Southwest Tech typically serves over 12,000 Southwest Wisconsin residents each year. Immerse yourself in the creative spirit of the river valley! Home of the American Players Theatre, House on the Rock, Taliesin and much more. The Town of Brigham, located in eastern Iowa County, Wisconsin is predominately a farming community.A population of approximately 979 enjoys the rural atmosphere, with its gently rolling topography. We encourage residents and visitors to explore our web site. 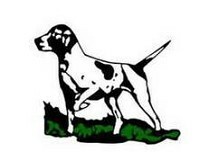 Welcome to the Village of Barneveld's official Web site! We are proud to use this site to communicate online with our citizens, businesses, and visitors. At the Village of Barneveld we strive to provide up-to-date information on services that enhance your quality of life. The Village of Cobb's official site offers information on events, meetings, recreation, budgets and much more. 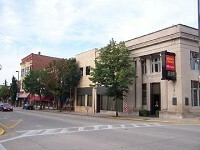 Highland, Wisconsin is a friendly, vibrant, rural community with 797 residents in the Town of Highland and 868 residents in the Village of Highland. It is located in the rolling hills of west-central Iowa County. Located between the Villages of Highland and Cobb, Blackhawk Lake Recreation Area draws many tourists. Department of Transportation road conditions for Wisconsin. Before you travel check construction, closures or ice and snow conditions.